Alberta unveils Renewable Electricity Program: The beginning of the end for the energy-only market? On November 3, 2016, the Alberta government released the details of its long-awaited plan to accelerate the development of renewable power generation in the province through an auction-based procurement process—a key plank of the Climate Leadership Plan it announced in 2015. The Renewable Electricity Program (REP) will be launched in early 2017 with an initial, three-stage procurement process for up to 400 MW in new or expanded renewable generation. Winning bidders will be awarded payments under a “Renewable Electricity Support Agreement” (RESA) that would grant fixed, market-insulated prices for a 20-year term, similar to Ontario and other jurisdictions. The REP represents a clear, if incremental, change of course for Alberta’s “energy-only” electricity market model—one that will offer significant opportunity to prospective renewable developers if the 2017 auction succeeds. In late 2015, the Alberta government, acting on the recommendations of a Climate Change Advisory Panel (Climate Panel), released its Climate Leadership Plan, a four-pronged “policy architecture” to address climate change in the province. Beyond its plans for an economy-wide carbon tax, a 100 Mt oil sands emissions cap and a methane reduction plan, the Climate Plan includes a commitment to “30 by ’30”: to increase the generation share of renewables in Alberta to 30 percent by 2030. To that end, the Climate Panel recommended setting up an open, competitive request for proposals process and incentive payments bounded by a “price collar” (or limit to government support) of CA$35/MWh. The Panel otherwise saw no need for a change in Alberta’s “energy-only” electricity market. The “30 by ’30” goal coincides with the Climate Plan’s announcement of a planned phase-out of all of Alberta’s coal-fired generation by 2030. This will be a significant undertaking: based on Alberta Energy 2015 statistics, coal supplies fully half of Alberta’s power requirements. In January 2016, the Alberta government assigned the Alberta Electric System Operator (AESO) the task of developing specific recommendations on the REP, noting that the government “has not chosen to fundamentally alter the current wholesale electricity market structure.” In the first half of 2016, the AESO launched a stakeholder engagement process and retained economic and financial consultants to study options. On November 3, 2016, the Alberta government publicly released the AESO’s May 2016 Renewable Electricity Program Recommendations report (AESO Report) and adopted its recommendations as the REP. Speaking at the Canadian Wind Energy Association’s annual conference, Minister Shannon Phillips claimed that the REP would inject some CA$10.5 billion into the Alberta economy by 2030 and create 7,200 jobs. The policy is to be implemented through enacting a Renewable Electricity Act in late 2016. The REP aims to incent the addition of 5,000 MW in installed renewable generation by 2030 through a series of AESO-administered auctions. As described by the AESO, the “[w]inning bidder bids a price that is, in essence, its lowest acceptable cost for the renewable project the bidder plans to advance.” Successful bidders are awarded the right to guaranteed per-MWh prices for 20-year terms via “top-up” support payments enshrined in a RESA. The RESA payment mechanism, financed by carbon revenues from large industrial emitters, operates as a so-called “Contract for Differences.” To compensate for low Alberta power market prices relative to renewable costs, RESA payments add to the generator’s market revenues and recede as the market price rises toward the generator’s bid price. If the market price exceeds the generator’s bid price, the generator pays its above-bid revenues to the government. The AESO Report, on the other hand, indicates the opposite concern with the Climate Panel’s CA$35/MWh support “collar”—noting that consulted lenders were of the view that it left power projects unfinanceable. The AESO expects the RESA’s “uncollared,” indexed approach to attract more extensive bidder interest by offering greater revenue certainty to developers (and by placing price risk with Alberta). The likely result, in the AESO’s estimation, is a more competitive auction featuring lower bid prices. The requirements of an existing grid connection and a 2019 in-service date may constrict the 2017 bidder pool. In particular, the AESO Report itself acknowledges the challenges developers may face in obtaining the requisite regulatory approvals in time to energize in 2019. Request for Proposals (RFP): in which qualified bidders provide security for their bids, make final, binding offers and a winning bidder is selected (2-3 months). The government has indicated that stakeholder engagement on the 2017 auction’s draft commercial terms will begin on November 10, 2016. Does the energy-only market have a future? Since Ontario’s foray into procuring contracted, renewable forms of generation began in 2004, the share of the province’s generation under contract—without exposure to the market price—has risen to 65 percent, according to data from a 2015 Independent Electricity System Operator (IESO) report. Many commentators have described Ontario’s market as a “hybrid” system, characterized by high levels of policy intervention, steeper costs and the effective abandonment of market price as a generation investment signal. The introduction of market price–insulated generation envisioned by the REP promises, at least at this juncture, to be more incremental than Ontario’s sweeping example. The Climate Plan and AESO Report both contemplate the maintenance of Alberta’s wholesale market system and prioritize, in express terms, cost containment. The increasing price-competitiveness of renewable sources, too, may cushion the cost increases seen in early-adopting jurisdictions. Finally, as noted by the Climate Panel, Alberta continues to reap the benefit of an abundant, low-priced gas supply in transitioning away from coal. Notwithstanding this, the eligibility of generators for RESA payments—especially given the low market prices and rising costs of the current environment—may itself “result in other generators demanding the same treatment (i.e. some kind of guaranteed revenue stream),” as the AESO acknowledges in its report. Elsewhere, the AESO Report presents a grim diagnosis for non-renewable investment, noting that “there has been a significant erosion of the support for investing in the energy-only markets in Alberta (and elsewhere) given [that] market and policy is undermining confidence.” It remains to be seen whether the REP’s policies, as in other places, signal a broader trend away from energy-only markets; are themselves overtaken by political opposition in a contested election; or find their place in a market framework that has, to date, proven adaptable to Alberta’s ever-changing climate. 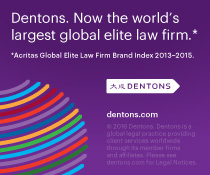 This post was co-authored by Joseph Palin and Bernard Roth, Partners in Dentons’ Calgary office.